If you want to become a medical and clinical laboratory technologist or technician, you need to study clinical laboratory science. 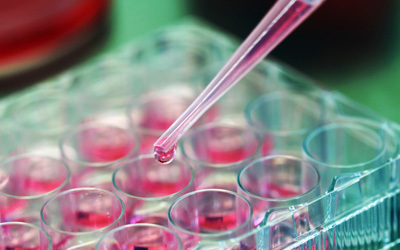 A clinical laboratory science degree can help you pursue a career in this field. How to become a clinical laboratory technologist or technician? As mentioned earlier, you will need to be academically qualified for both positions. If you’re interested in becoming a medical laboratory technologist, you’d need to hold a bachelor’s degree in medical laboratory technology. However, if you are interested in becoming a clinical laboratory technician, you would need to hold an associate degree in clinical laboratory science. In addition to completing your required educational credentials, your state may further require you to be licensed or registered. It is a 2-year undergraduate degree for those looking to become a clinical laboratory technician. High school students with a strong academic background in biology, chemistry and mathematics, are ideally suited for this degree as well as career. This is a 4-year undergraduate degree whose curriculum is based on classroom learning, clinical training and research, and coursework. Upon graduation, graduates may apply for jobs in clinical laboratories or hospitals. Others may pursue advanced level studies in graduate or professional schools. Students’ choice of electives will depend on their area of specialty. 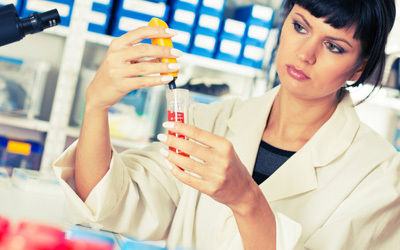 This degree is for those medical technology scientists who are interested in pursuing a career in academia or research. Clinical laboratory science programs are also available online. However, due to emphasis on hands-on, research oriented work in the field, it is highly unlikely that you’ll find a 100% online program. 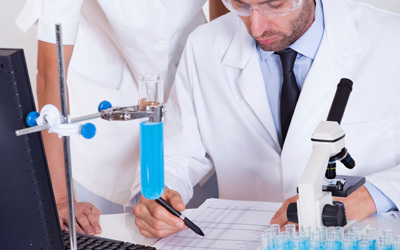 Online students may be allowed to complete theoretical aspects of a degree in clinical laboratory sciences at home, while practical components of the program will have to be completed in laboratory settings. A clinical laboratory science degree online is much more flexible than its traditional counterpart. Online students can make their own study schedule and study from the comfort of home. They may further save money by spending less on commute. Most of the material is available online, including lectures and coursework, etc. Did you know that Medical and Clinical Laboratory Technologists and Technicians earned a median annual salary of $47,820 in 2012. Did you also know that the demand for these professionals is expected to be around 22% - faster than all other professions - over the next few years. Q:What are clinical laboratory science online degree programs intended for? A:Clinical laboratory science degree programs are designed for students who wish to prepare for careers such as clinical laboratory scientists in the healthcare services field. Throughout the program, students will learn how to apply technical and clinical skills in laboratory practices, identify and resolve issues in clinical laboratory, understand different laboratory procedures, and conduct research for various clinical purposes. Q:What are the different types of courses covered in clinical laboratory science programs? A:The coursework will vary from college to college and will also depend on the degree-level you are pursuing. Here are some of the basic or introductory courses you may encounter in clinical laboratory science programs: clinical virology, clinical hematology, legal and ethical issues in healthcare practice, biomedical statistics, clinical lab management, quantitative analysis, molecular diagnostics, and more. Q:In a PhD in clinical laboratory science, will there be any coursework? A:Yes, in a PhD in clinical laboratory science degree program, you will be required to complete a set of courses before moving onto research studies. The coursework is geared towards providing students with a sound theoretical basis of knowledge. Some of the courses that may be covered are: clinical laboratory diagnosis, health epidemiology, health services and issues, data analysis and interpretation, and advanced hematology. Q:How long does it take to complete a masters in clinical laboratory science degree? A:The duration of a masters degree in clinical laboratory science is typically two years. However, the exact duration will depend on which school you enroll in. Students looking for a 1 year masters degree can opt for an accelerated degree track. Get more information about the program from prospective schools. Q:How do I pick from the best clinical laboratory science graduate programs? A:Choosing the right graduate program for clinical lab studies can be tricky due to many options available. You can narrow down your search by short listing colleges based on a comparison of the following factors: ranking, accreditation, student reviews, faculty, costs, and location. You should check out the program structure offered by colleges. Q:What is the duration of an associate degree in clinical laboratory science? A:An associate degree in clinical science typically takes two years to complete. Most universities and colleges are offering two-year associate programs. You can also opt for an accelerated degree if you wish to earn the degree in less than two years. You can pursue an associate degree in clinical laboratory science online or on-campus, depending on your preference.